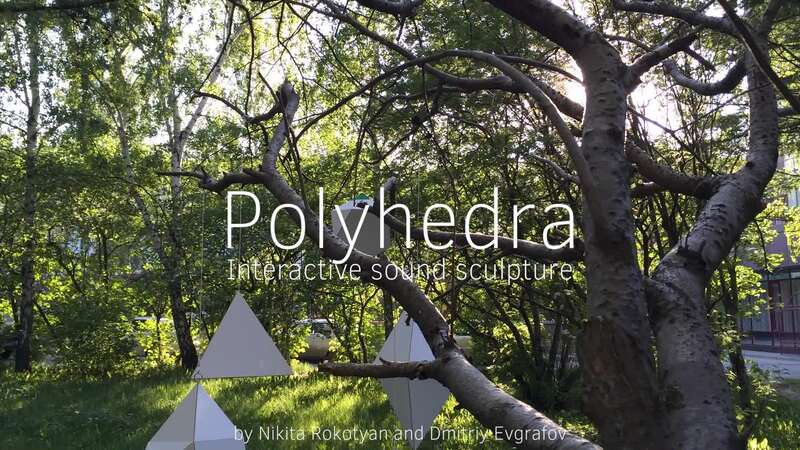 Polyhedra is an interactive sound sculpture, which explores a subjectivity of perception of forms and sounds. This question was risen before by Wassily Kandinsky, a famous Russian abstract painter and art theorist The installations consists of 7 polyhedra and 5 strings handging from the ceiling. Each polyhedron produces a specific sound when hung. By changing polyhedra and their hanging positions you create a personal sculpture with a unique sounding.